As you know, we have begun our multi-room reno here at the ranch. Since we are gutting the kitchen, the washer and dryer have to be moved to a new location to make way for the new kitchen design. We have decided to move them back to their original location in the hall bath. From what we can tell, they have been in 3 different areas of the home: the hall bath, the basement work room and the kitchen/ mud room. Our decision to move them to the hall bath was really an accident. Shortly after moving in, I kept getting a whiff of gas near the front door and on the porch. 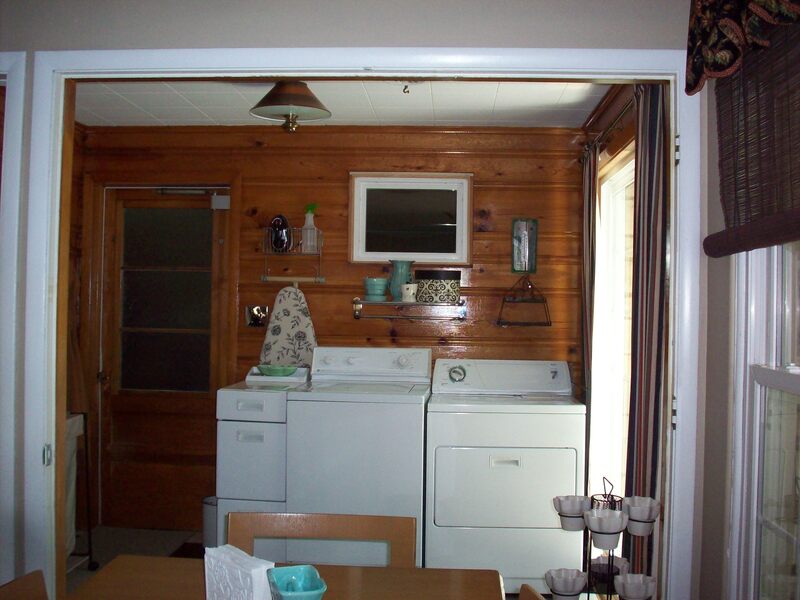 It simply did not make sense that there would be gas there, as the only other gas appliances in the house at the time were the water heater and boiler in the basement. Hubby got out his flashlight and bravely went into the crawl space. What he found was an old gas line running to my hall bathroom. It had only been shut off, not capped. There was the origin of the leaking gas. 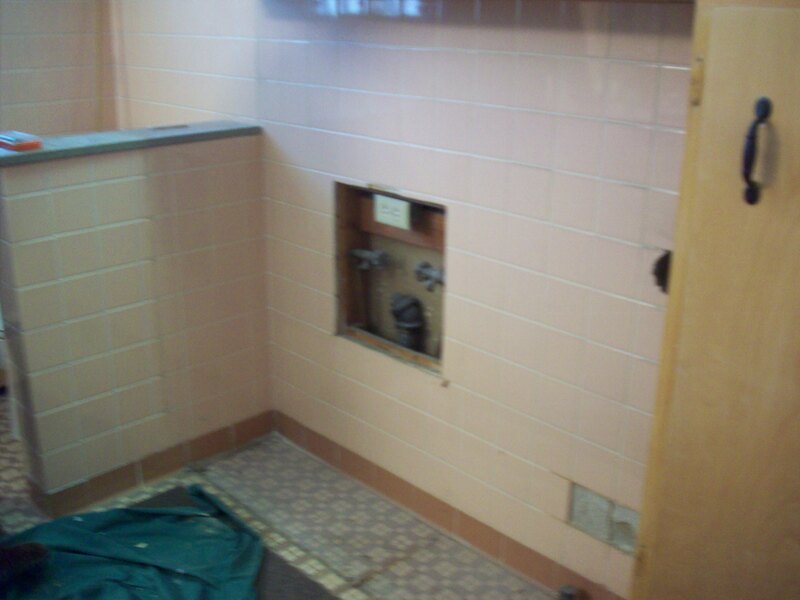 He also found that there were water supply lines and a drain. We started to sleuth around in the bathroom in the area of the floor-to-ceiling built ins. 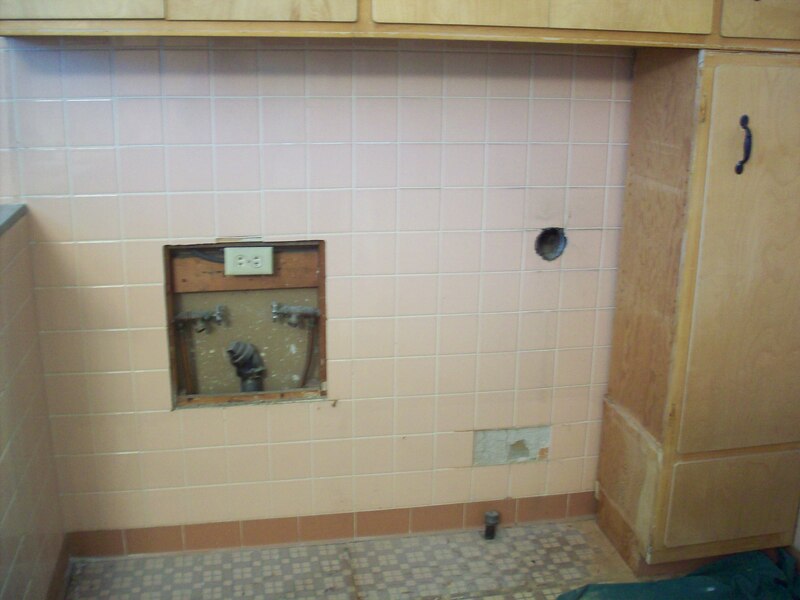 We removed the bottom drawers and found that the tile floor extended to the wall under them and that the tiled wall was still behind. 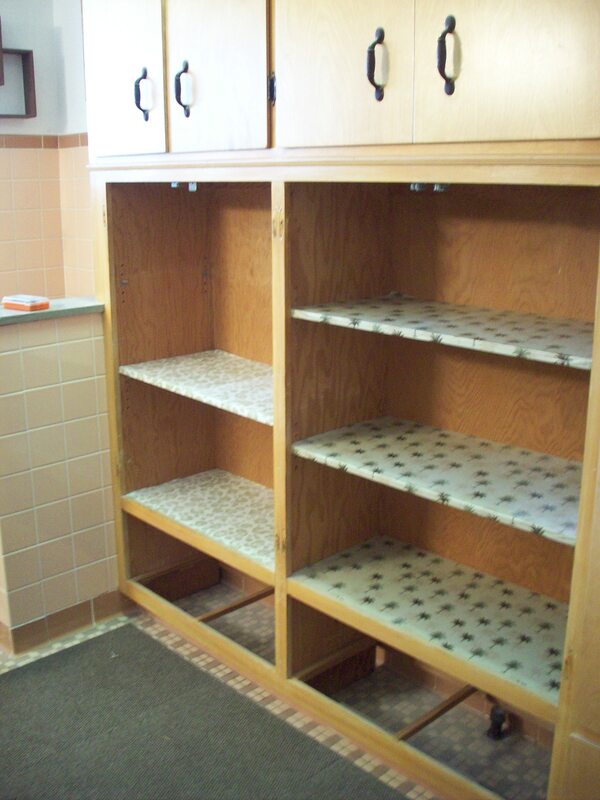 The cabinets must have been a later addition. So this is where the washer and dryer will be located! 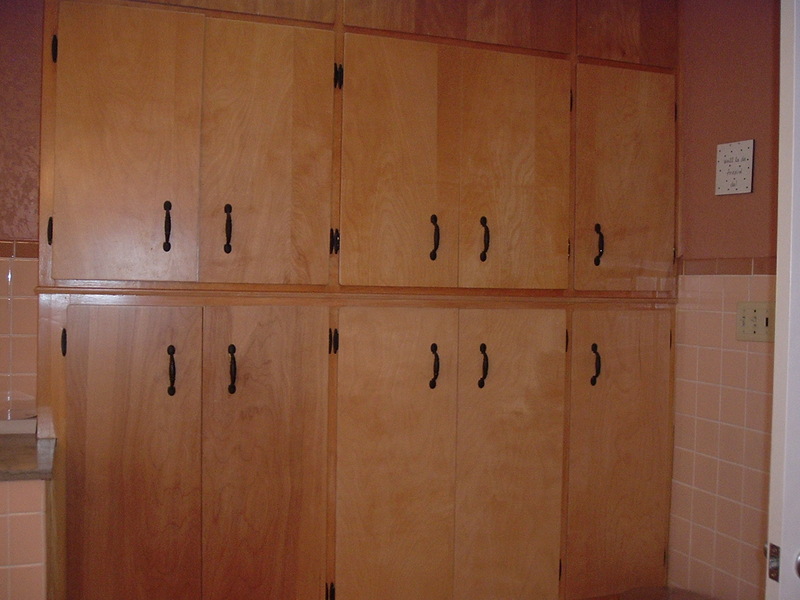 That bathroom is plenty big and moving them back in there allows me more cabinets for my kitchen. Yay! We will need the plumber to come and move the exhaust for the dryer. The old one was vented into a pipe that went up through the roof. That is no longer “code” here so he will run a new line down to the crawl space and out the foundation wall. He explained that the moisture from the wet clothes froze in the winter and clogged the pipe. It required getting up on the roof to clear it out. Not something we want to do with snow on the roof! Stay tuned for our work in progress.